Get up close to the things Elvis cherished and get a taste of his life at Graceland. 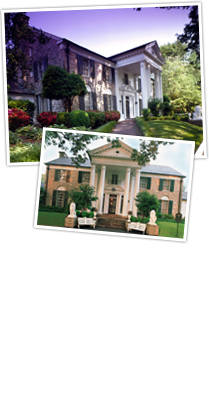 See the Music Room, the Jungle Room, Trophy Room and stop in the Meditation Garden to see the final resting place of Elvis and his parents. Includes leisure time. Departs daily from ticket office at approximately 10:00 A.M., 12:30 (specific hotels) and 2:00 P.M.